Tuesday and Thursday Nights at TRVCC Dayton Gym. Tuesday nights at 7 pm are for competitive play. Thursday nights at 7 pm are beginner/family nights. 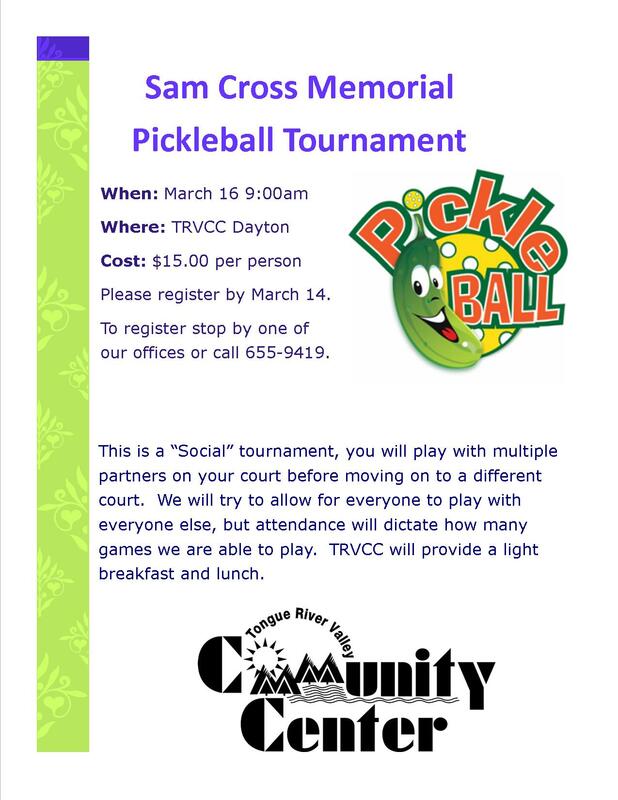 These games are free with membership or $3.00 for drop in fees. 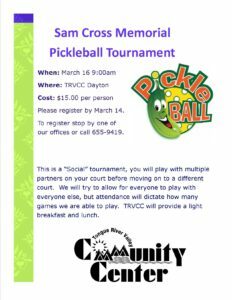 Sam Cross Memorial Tournament 3/15.